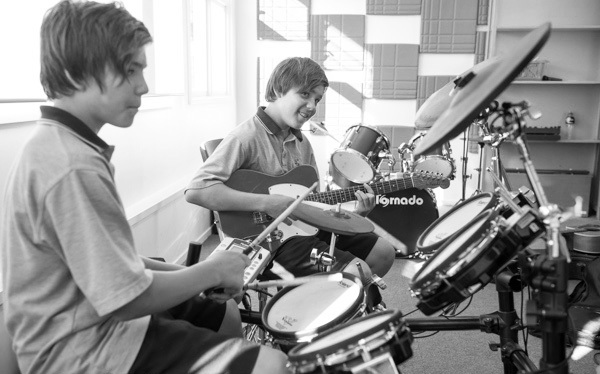 Music School, whether you are a beginner or expert, we offer music lessons for all levels. We also offer group beginner programmes - Musical Jam, Blast-off and Cosmic Keys. ENROL WITH US TODAY. We offer tuition for all stages of musical development - beginner to intermediate and advanced. 30 minute lessons take place during the school day and after school at our partner schools. Our group beginner programmes - Musical Jam, Blast-off and Cosmic Keys are a great way for your child to begin their musical journey. Based on the Orff-Schulwerk* method of teaching, this programme incorporates singing, movement, ensemble playing and experimentation on instruments children love to play - xylophones, hand-drums, maracas and more. Improvisation is also encouraged which develops each child's individual creativity. Musical Jammers learn to 'feel the beat' and the fundamentals of music in this fun, supportive environment. They then have an easy, enjoyable transition to an instrument in year 3 at school. Blast-off is a one term 'test drive' of ukulele, keyboard and recorder which makes the decision of a first instrument so much easier! This fun music programme is the perfect way to introduce your child to a range of instruments. Each weekly 30 minute lesson (3 weeks on each instrument) also includes some general music theory covering the fundamentals of rhythm, note-reading and dynamics. At the completion of the course children get to choose the instrument they wish to continue learning. Allowing your child to take ownership of their instrument decision has great benefits especially with regard to their motivation to play regularly, practice and progress. The three instruments included in this programme are well-suited to this age group (based on physical size and learning development) and skills learnt on each can be transferred to other instruments - recorder to saxophone, clarinet and flute; ukulele to guitar; keyboard to drum kit, percussion and most instruments.